Provide viewers with an all-encompassing entertainment experience anywhere they are - through the web when they're at their desks, their phone and tablets when they’re on the go, their car audio and video systems when they’re on the road, their Smart TVs, and smart devices when they’re at home. 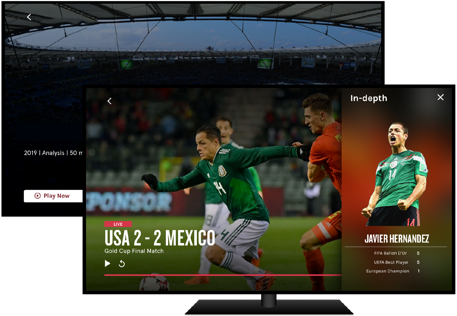 Put viewers right in the middle of the action and engage them with content in ways they never thought possible: using split screens to watch their favorite sitcom while keeping an eye on the big game, switching between different cameras to see live-action matches as if they were on field, and accessing behind the scenes commentary and statistics that bring each series episode to life. 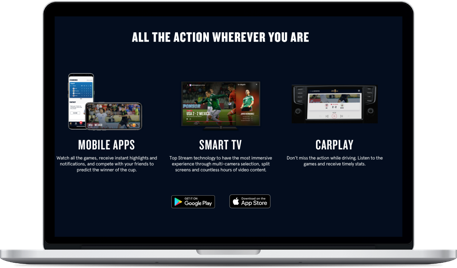 Take sharing to the next level by bringing family and friends together to watch their favorite shows even if they’re not in the same place and let viewers create and share their favorite program clips and sports highlights across all of their social media accounts. Our OTT solution is powerful. We built it on top of proven technologies from Amazon Web Services, Google Cloud, and Microsoft Azure to provide viewers with unparalleled speed and performance. Wizeline’s OTT solution delivers reliable video with no delays, lagging, or downtime across all regions and time zones. And because the platform is cloud native, you can scale the platform as your audience grows and add new capabilities - even for technologies that aren’t yet ready for primetime such as augmented and virtual reality. Best of all, the platform is secure and designed to maximize your investment. Our solution uses Adobe Pass to authenticate authorized viewers to access content, Google DoubleClick to deliver ads that resonate, algorithms to help viewers discover new content and keep them engaged, and AWS Elemental to deliver content viewers want on-demand. Partner with us and re-imagine what is possible. As streaming surpasses traditional TV, existing players like BAM-Tech and Neulion move in-house, and OTT solutions demand increasingly tailored features, we believe there is an unmet need for custom-developed video streaming technology.  Bismarck Lepe, Wizeline CEO and founder.